I noticed that on 11-1-15 there was no 45-years-ago-today strip on the Flashback page, and that in 1970 that date was a Sunday. I assume the two facts are related? When did the Sunday strip commence, and was it an eight-panel extravaganza from the get-go? Well observed. 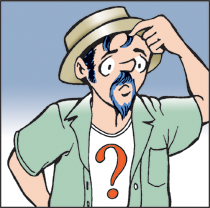 Although the dailies launched on 10-26-70, the first Sunday Doonesbury did not show up until almost five months later. It was in fact a nine-panel extravaganza, as you'll see here.